Question: How many residents are there currently in the City? Answer:As of the census of 2000, there were 1,374 people, 480 households, and 314 families residing in the town. Question: How many acres are included within the City limits? Answer: According to the United States Census Bureau, the town has a total area of 2.99 square miles (1913.6 acres). Question: What are the main attractions of the area? Answer: Located in Pine Mountain are the Callaway Resort and Gardens and Pine Mountain Wild Animal Safari. The Pine Mountain Trail, a 23-mile hiking trail, is nearby in F. D. Roosevelt State Park. 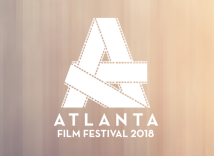 Pine Mountain, Georgia comes "full Hollywood " with locally shot motion picture premiering at Atlanta Film Festival!